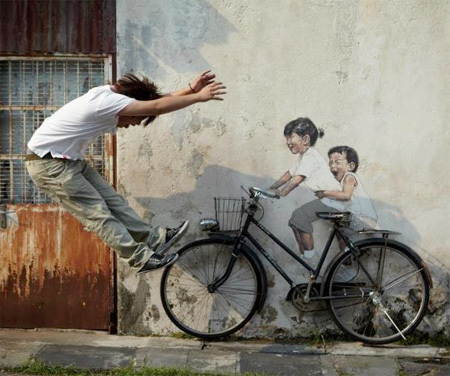 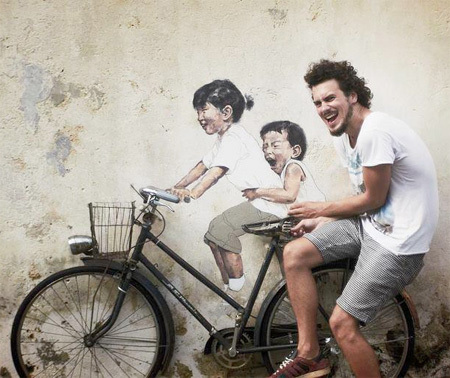 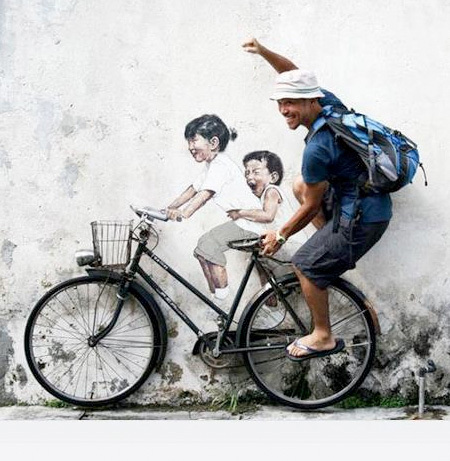 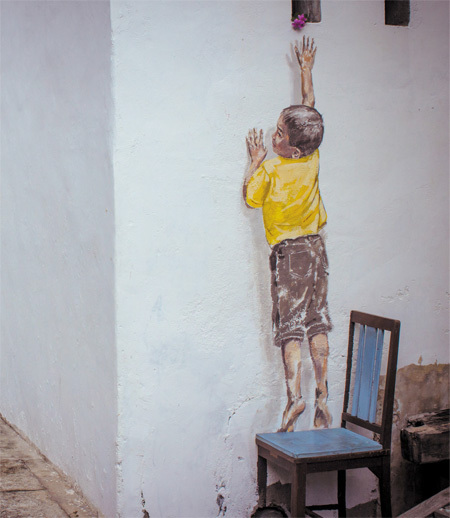 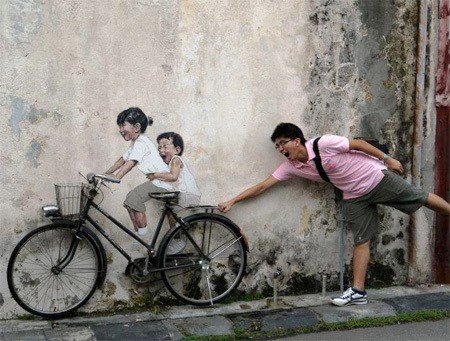 Creative street art with three-dimensional interactive elements by talented artist Ernest Zacharevic. 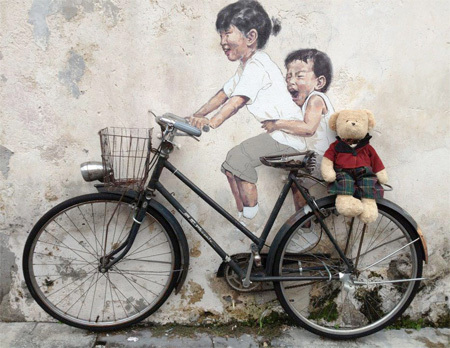 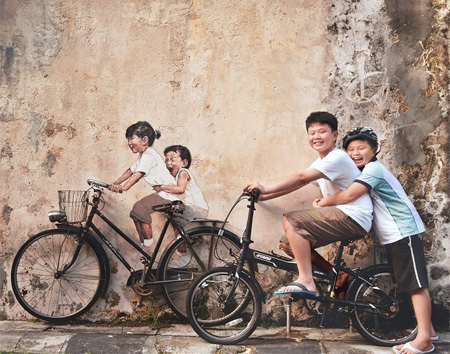 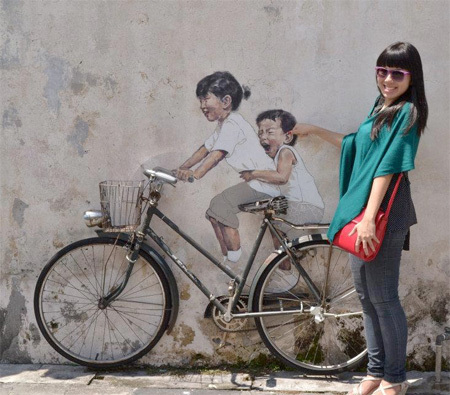 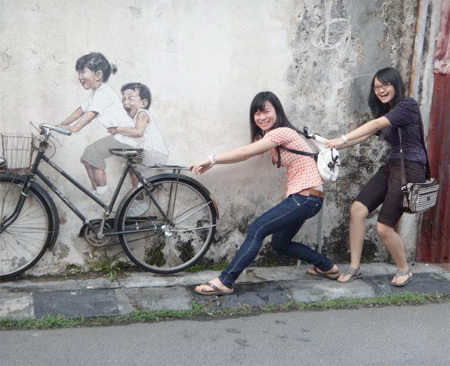 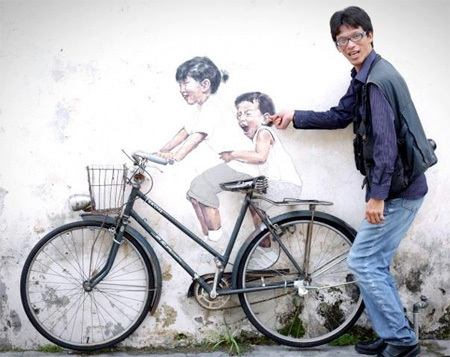 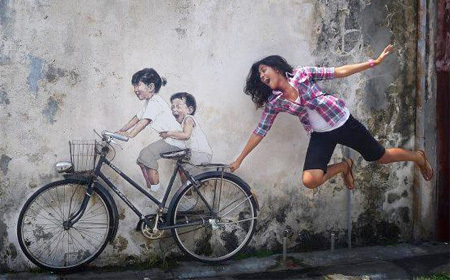 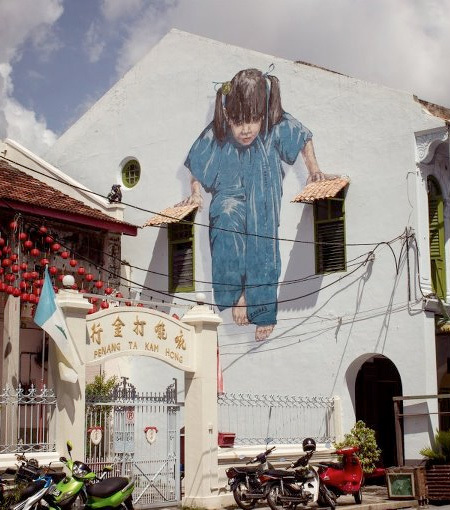 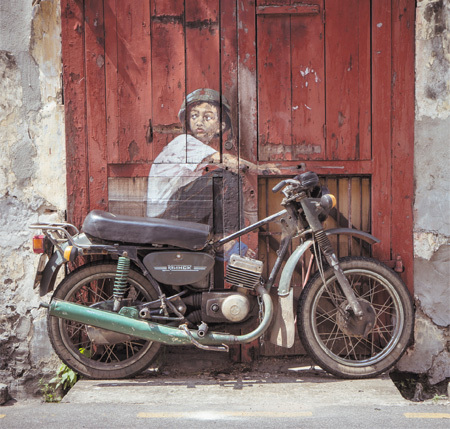 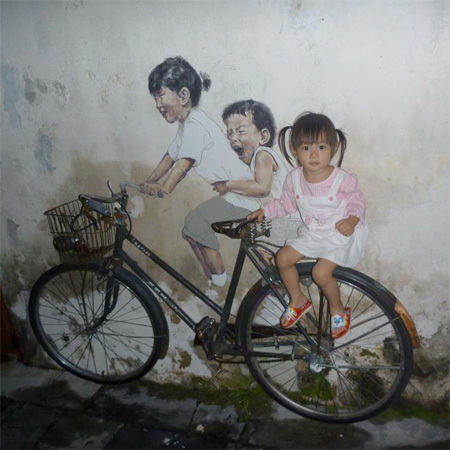 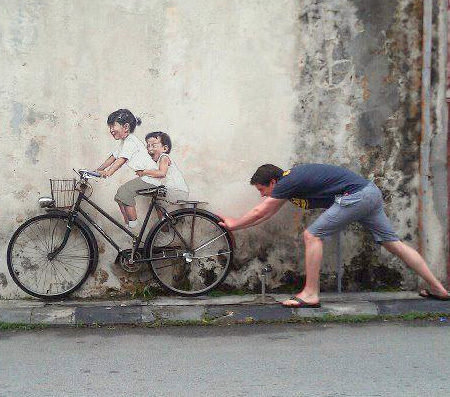 Unique wall paintings in Penang, Malaysia were combined with bicycles, chairs, motorcycles, and other familiar objects. 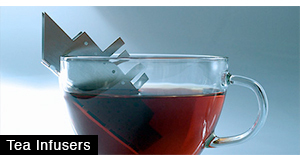 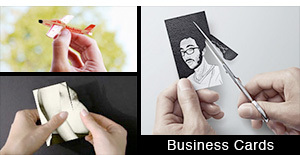 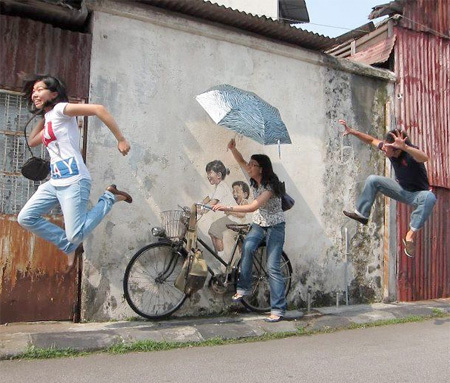 People are encouraged to play with the art and take clever photos. 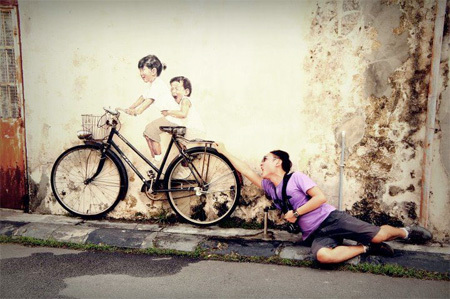 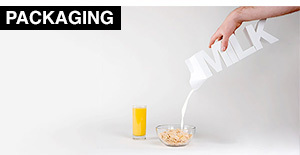 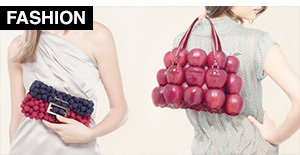 Yes, this is called “interactive” art. 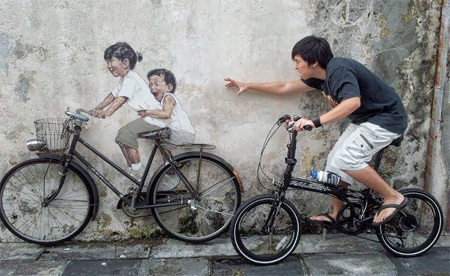 I like the “cycle with two kids” art more, one painting and many ways to interact with it.. nice. 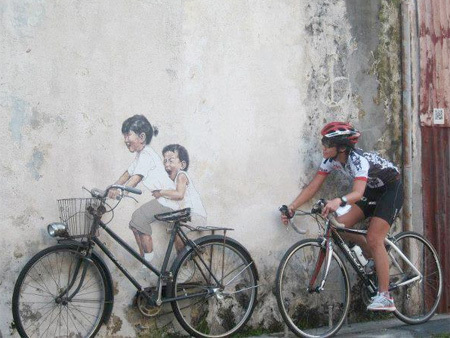 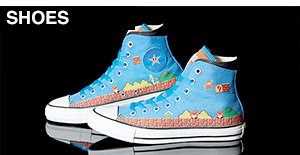 That’s so cool, I wish there were A) more to look at B) more of this in the world! 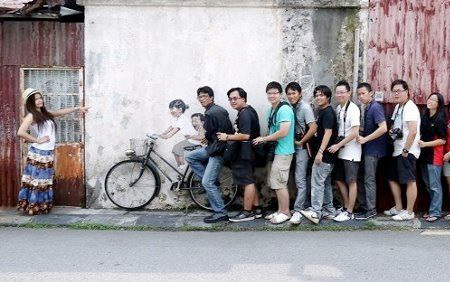 This is beautiful and creative and I really wish there were more of it in the world. 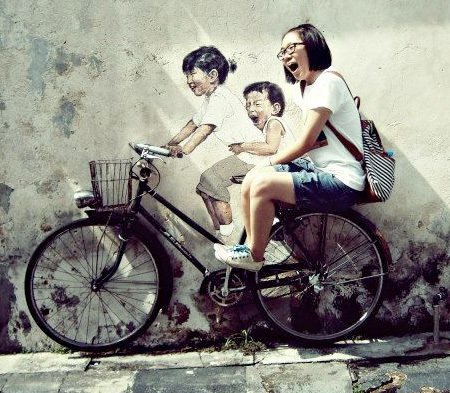 It is proof that street art doesn’t need to be vulgar like you see so often. 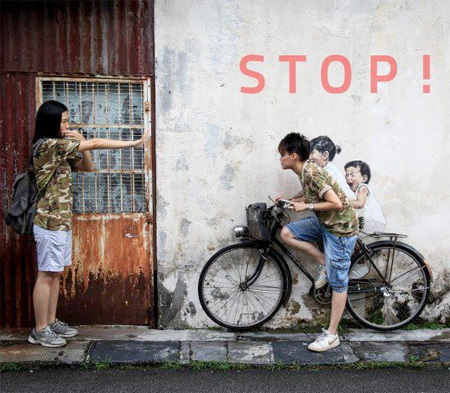 @liz. 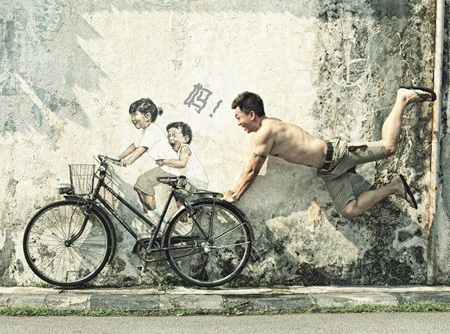 unfortunately, he’s not malaysian. 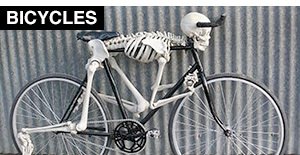 he’s a Lithuania-born.